Eight what? Eight eights, silly! 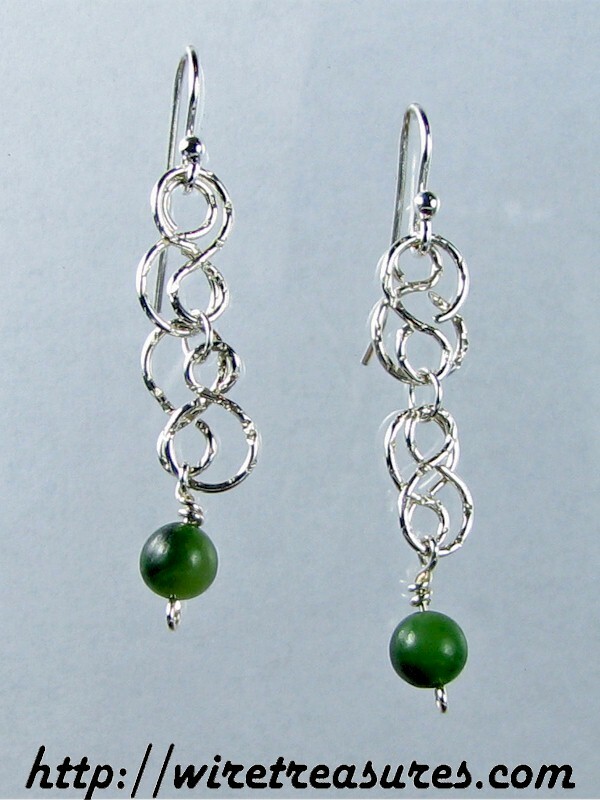 These Sterling Silver earrings each consist of four figure-eights supporting a 6mm Aventurine bead. These earrings are almost 1-1/2 inches high, not counting the ear wires.